Australia Post staff have been accused of peeing on the job in customers’ gardens. .
A POSTIE in a rush to spend a penny was caught red handed going for a pee in a couple's front yard, a frustrated customer has alleged. Ben Skinner said the shameless toilet trouble occurred when his wife took longer to get to the front door than planned and caught the Australia Post employee in the act of watering their garden. Mr Skinner, from the NSW Central Coast, posted the incident late last month to a Facebook group dedicated to Aus Post anger called "Australia Post Complaints" that invites users to "vent your anger about Australia Post here." In his post, Mr Skinner said his wife was slow in getting to the front door, as the postie's knock set off their dog which, in turn, woke up the couple's two-year-old. When the wife opened the door she found the postman urinating off their veranda. "Lets just say they were both shocked and embarrassed," Mr Skinner said. "Then he tried to get her to sign for it with wee on his hands and his fly half down! I'm just glad the box was the only parcel he dropped off …"
Mr Skinner initially posted his complaint to Australia Post's official Facebook page, where the publicly-owned organisation replied. 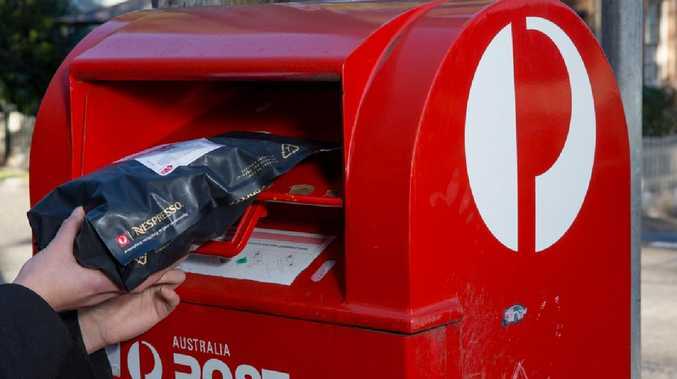 Acknowledging what the postman had done was unacceptable, Australia Post apologised and said they were embarrassed, according to 9 NEWS. The post seems to have been erased from Aus Post's official Facebook page. However, Mr Skinner's post to the unofficial venting page remains up. Aus Post staff seem to have form when it comes to the urination sensation. In a post on Australia Post's official Facebook page, Jaci Sinclair vented her frustration with their "appalling service". As an addition to her initial complaint, about an Express Post parcel getting delivered to the wrong facility, she also asked for the postal service to tell their posties to stop doing a number one on her fence. "Please let your posties know that my fence is not their urinal," she wrote. "I've had it with them using my fence to urinate as they please simply because I live near one of your green mailboxes. It's disgusting and my children and I shouldn't have to see that daily." Ms Sinclair said motorbike posties were the ones who urinated on her fence upon collecting new mail from the green box. She claimed the posties also littered cigarette butts while resting outside her home. The Australia Post annual report revealed 1.1 million complaints were made last year.